E-tailers generated their higher ever sale performance over the five festive days from 9 th -14th Oct 2018. 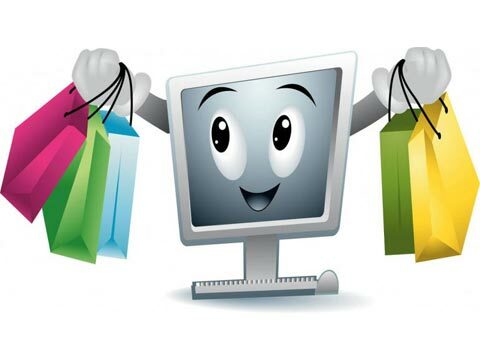 Indian online fashion market is growing at humongous rate. As per the study conducted by online fashion retailer Myntra , online fashion and lifestyle market is pegged at $100 billion and growing at a CAGR of 8-10% offline, the segment gradually seems to be embracing online as the channel of the future, evident from a projected penetration of 15-20% over the next 5 years, from the current 4%. Sale is one of the most important periods for any online players where they receive massive surge in generating percentage of orders and shipments. A per the data released by Redseer Consulting, a research and advisory firm e-tailers generated their higher ever sale performance over the five festive days from 9 th -14th Oct 2018. For these festive sale days, Redseer analysis shows that the e-tailing industry managed to generate INR 15,000 Crores/ USD 2.3 Bn of sales (At $1=â‚¹65). This is compared to USD 1.4 Bn (At $1=â‚¹65) generated in 2017 edition, a y-o-y growth of ~64%. It is to be noted that Redseer had forecasted sales of USD 2.5-3 Bn for the industry the week before the sale event. How do sale events really help online retailers? Retail tech solution provider Ace Turtle has come up with a comparative study online shopping during sales event days that eCommerce majors come up from time to time and that of non-sales event days from January 2018 – August 2018. Ace Turtle has gathered the data from transactions those have been taken place on its partner online channels which includes both marketplace and brands online sales channels. Amidst growing competition, eCommerce players indulge in high discounts from time to time to enable greater sales through hard to miss deals and offers on a range of products across categories. As per the Ace Turtle report, there is a peak growth of 417% in orders during particular sales event days. During the same sales period, the ASP dropped by only 17% which is not a significant change considering the overall price fluctuations in the given period. The above data suggests that although quantity sold is more during a sales event, customers are not looking at only deals. While this is good news for the brands, they cannot use a sales event to push slow moving stock with exorbitant discounts. Steep Discounting- Does it help? From time to time, eCommerce marketplaces roll out sales campaign such as Big Billion Day and End of Reason Sales. Brands also gear up for these periods to maximize their sales conversion by either rolling out promotions on particular items or categories. There is also a notion that brands indulge in deep discounting during sales season which is true to a certain extend. Reports suggest that an average of 40-50% discounts were offered by retail brands during the sales season of December -January period. However, our data suggests an interesting twist to this insight. What do people buy during sale? According to recent data released by Ace Turtle , Flipkart claims to have surpassed traditional footwear retailers Footprint in retail sales for the calendar year, 2017, clocking INR 1800-1900 crore. This is not surprising as reports suggests that India is consuming almost 16 billion pair of footwear annually. With great demand comes greater responsibility to deliver and this is the only reason why eCommerce model clicked in this industry. Driven by larger penetration in tier II and III cities, many premium brands are increasingly witnessing greater market share in these regions. Our report also suggests that during sales event days, the growth of order for footwear as a category is highest at 75%. Although the over all sales of apparel is more than any other categories footwear as a segment shows maximum inclination for discounts during sale event days.